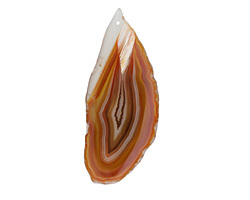 Natural Agate is typically white or light gray with opaque swirling patters and a lot of translucency. When the material is dyed or heat-treated, these natural patterns are enhanced and we get a striking stone that is relevant to current fashion trends. 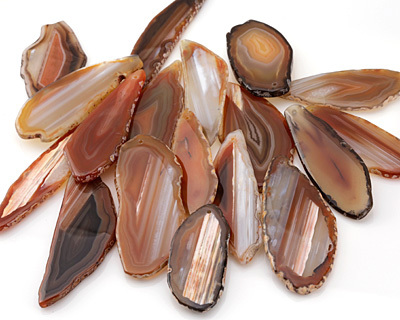 The colorful agate beads you see here have been dyed or heat treated to achieve their bold coloring.